Last month Treyarch and Activision announced that Call of Duty: Black Ops II generated $500 million in sales within the first 24 hours. That’s 20 percent more revenue than last year’s Modern Warfare 3 and it appeared the latest entry in the franchise was off to a solid start. But when the publisher failed to report sales figures after the first five days like they had in years past, many began to wonder if numbers were on the decline. Some analysts believed that sales were down by as much as 20 percent in the UK alone. It turns out those fears were without merit as it was just revealed that Black Ops II grossed $1 billion worldwide during the first 15 days on the market. This milestone was reached one day faster than Modern Warfare 3, according to the publisher. They came to this figure by using internal sell-through estimates, retail store information and official Chart-Track data. For comparison, James Cameron’s 2009 box office hit Avatar reached $1 billion in ticket sales after 17 days in theaters. 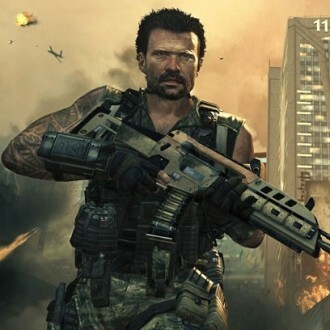 Bobby Kotick, CEO of Activision Blizzard, said the release of Call of Duty has been one of the most significant entertainment events of each of the last six years. He noted that since the first game in the series was released, cumulative franchise revenues from players around the world are greater than current worldwide box office receipts to date for the top 10 films of 2012 combined. Gamers have logged more than 150 million hours on Xbox Live and PlayStation Network since the title launched on November 13.